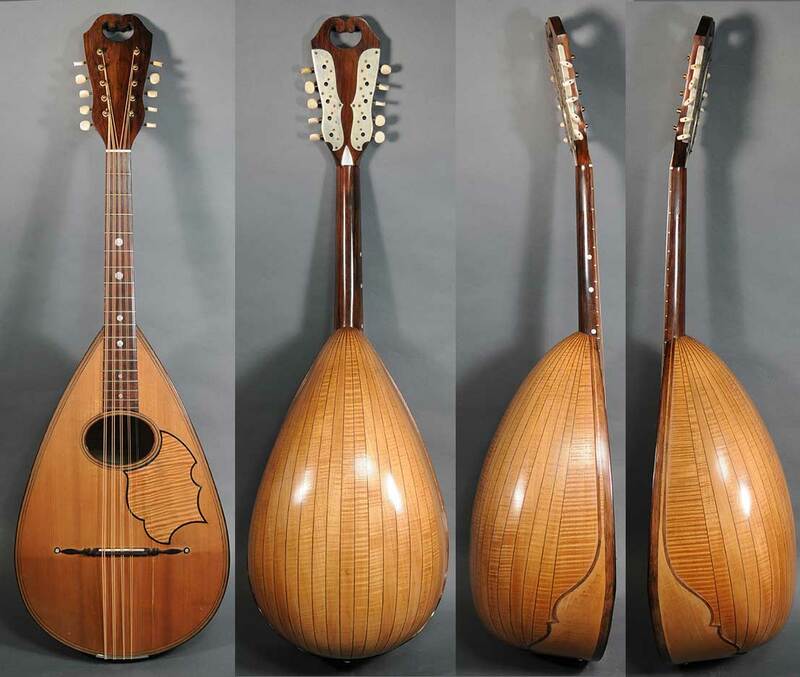 Large size instrument by the originators of the Neapolitan style mandolin. Twenty-three curly maple ribs, rosewood neck and fingerboard, 22 1/2″ scale. Five double courses tuned C-G-D-A-E one octave below the mandolin. 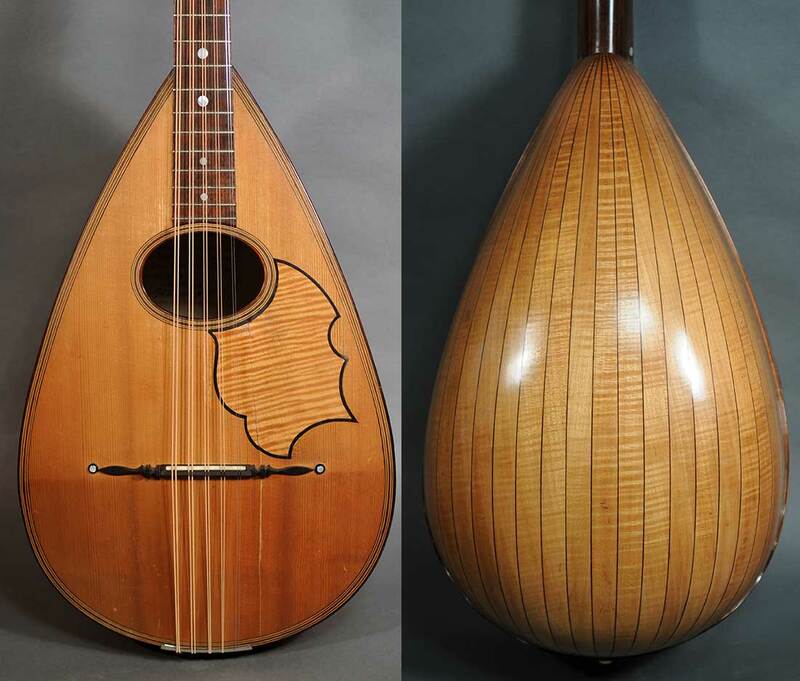 This instrument was made for Samuel Adelstein of San Francisco, an important figure in the history of the mandolin orchestra. This is the third example of the instrument that we have seen, and we have heard of a few others. All three that we had were marked as made for Mr. Adelstein and dated 1904. One of the others was dated 1905. 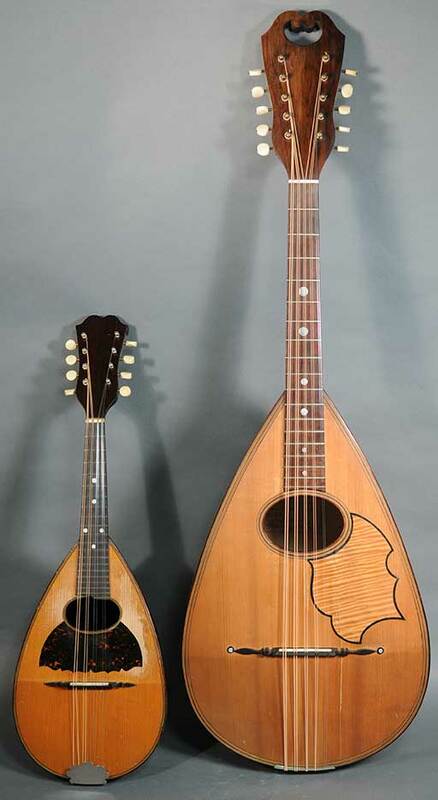 Shown alongside conventional bowl style mandolin for size reference.